Justice League: Throne of Atlantis will be the title of the next DC Universe animated feature film released following Batman: Escape From Arkham, World's Finest has discovered. 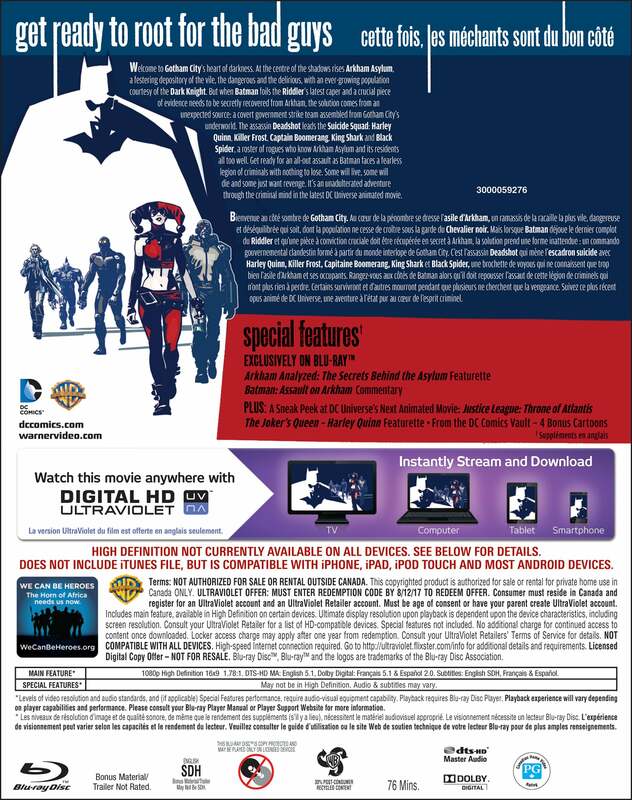 Posting box art from Escape From Arkham on their site, they noted that the special features include a sneak peek at Throne of Atlantis, an adaptation of the Geoff Johns-written, Aquaman-centric Justice League story that saw the forces of Atlantis clash with the surface world. It's not really a surprise; theories that the film would be based on Throne of Atlantis started when Geoff Johns teased a possible Aquaman animated film on Twitter and the dial was cranked all the way up when Justice League: War featured a post-credits tag that featured Ocean Master. While it's Aquaman-centric, being branded "Justice League" is no surprise; Warner has been fairly open about the fact that it's easier to sell Superman, Batman and Justice League-branded product than anything else in their library, so films like Flashpoint become Justice League: The Flashpoint Paradox in the hopes of moving more units. At the end of Justice League: War, which was said to kick off a new, interconnected universe of animated films based on the world of the New 52, there is a a shot of the ocean, strewn with dead fish and other sea life. A craft rises out of the water, and with it Aquaman's brother Ocean Master. He's carrying a dead, old man. 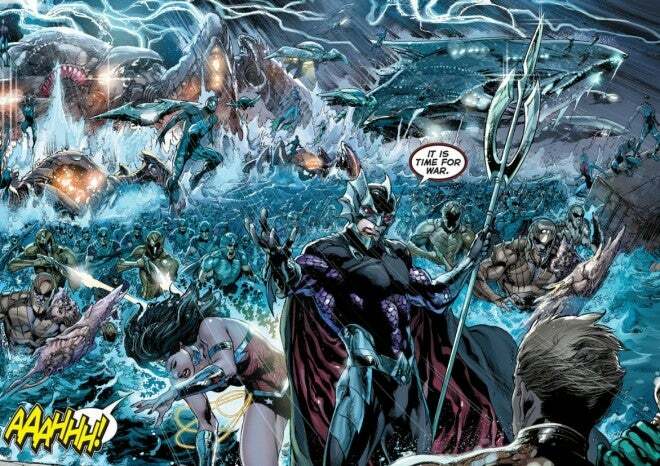 Ocean Master says, "The surface dwellers have killed our king. This is an act of war, and they will pay." Warner Bros. Home Entertainment have said that they will have two series running concurrently, with an interconnected continuity: Batman and Justice League. Generally the plan is to alternate movies, but in the case of 2014, Batman's 75th anniversary meant that he got consecutive films. Whether that means the Justice League will get consecutive films in 2015 or that the alternating series will resume isn't yet clear.